The Atlantic Fort Lauderdale hotel offers Smoke-free Hotel Features A Rooftop Pool And Outdoor Spa Tub. Located Across The Street From The Beach In Fort Lauderdale, Fla. The Hotel Is One Block From The Gallery At Beach Place, One Mile From The Galleria Mall, And The Pro Dive Glass Bottom Boat And Snorkeling. The Museum Of Art Is Three Miles From The Hotel, And Riverwalk Fort Lauderdale Arts & Entertainment Is Four Miles Away. Enjoy the Atlantic Hotel in Fort Lauderdale. The best fort lauderdale hotels, one being The Oceanfront Pelican Grand Beach Resort Is Located Two Miles From The Galleria Mall In Fort Lauderdale, Fla. This High-rise Property Stands Less Than Three Miles From The Beach Place Restaurants, Shops And Nightlife. The Lobby Of This Seaside Resort Features Panoramic Views Of The Ocean, Marble Tables, Key West-style Fans And Tropical Plants. Conveniently Located Across The Street From The Beach In Fort Lauderdale, Fla., Is The Tropic Cay Beach Resort Hotel. The Property Is Less Than Three Miles From The Riverwalk And Shopping At Fashionable Las Olas Riverfront. The 42 Guestrooms Contain Wicker-style Furnishings, Framed Prints And Tropical-themed Décor. A Doubletree Guest Suites Hotel Is Bordered By The Intracoastal Waterway And Stands Adjacent To The Galleria Mall In Fort Lauderdale, Florida. The Beach Is Located Two Blocks Away. Fort Lauderdale-hollywood International Airport Is Positioned Seven Miles From This Hotel. The Vue On The Water, This Property Offers 231 Non-smoking Guest Suites In A 14-Story Building. The Hotel's Primary Restaurant, Offers Outdoor Seating And Intracoastal Waterway Views. The Fort Lauderdale Grande Hotel Is Located Directly On The Intracoastal Waterway In Fort Lauderdale, Fla. Renovated In 2008, The Hotel Is Adjacent To The Port Everglades Cruise Port And One Block From The Broward County Convention Center. On-site Fine Dining Is Offered At The China Grill, Serving International Cuisine For Breakfast And Dinner. The "G" Restaurant Serves American Cuisine For Lunch And Dinner. This Hotel Offers 589 Guestrooms Distributed Among A 13-Story Tower And Two, Three-or Four-story Wings. Located Near The Ft Lauderdale Convention Center. Looming Two Blocks From Public Beaches, Il Lugano Hotel Is Located On The Intercoastal Waterway In Fort Lauderdale, Fla. Everglades Island Airboat Tours Are Two Miles From The Hotel, And Deep Sea Fishing Charters Are Within Four Miles. Hotel Features A Tropical Outdoor Pool With Sundeck And Chaise Lounge Chairs. The Waterfront Restaurant Offers Italian Cuisine Blended With South Florida Flavors. The Sheraton Yankee Clipper Beach Hotel Is Located On An 11-Mile Stretch Of Beach In Fort Lauderdale, Fla. This Property Stands Adjacent To The Bahia Mar Yacht Center And Is Positioned One-half Mile From Beach Place's Shops, Restaurants And Nightlife. This Property Offers 500 Nautically Themed Guestrooms Housed Within Four Buildings That Range From Four To Six Stories. The Riverside Hotel in Ft. Lauderdale Stands Within The Historic District Of downtown Fort Lauderdale hotels. This Hotel Is Located Adjacent To The Shops, Entertainment And Nightlife Of Las Olas Boulevard. Fort Lauderdale's Famed Beaches Await Discovery Less Than Two Miles From This Property. This Smoke-free Hotel Offers 213 Guestrooms Distributed Among Two 1930s Buildings And One 12-Story Tower. Enjoy this Riverside Hotel in Ft Lauderdale. he 10-Story Ocean Sands Resort & Spa Is Located In Pompano Beach, Fla. Located Directly On The Atlantic Ocean, This All-suite Beachfront Resort Is Conveniently Positioned Between Fort Lauderdale And Boca Raton, With Views Of Lighthouse Point And The Pompano Pier. The Hotel Stands Within Two Miles Of The Pompano Beach Pier, Pompano Beach Municipal Golf Course And Pompano Beach Amphitheatre. Just One Beautiful Beachfront Hotels In Ft Lauderdale FL Is The Hilton Ft. Lauderdale Beach Resort Is Located Across From The Beach In Fort Lauderdale, Florida. Beach Place Shops Stand One-half Mile Away, While Las Olas Boulevard Is Positioned One-half Mile From The Hotel. This 25-Story Hotel Offers 374 Guestrooms With Private Glass-railed Balconies That Showcase Ocean And Waterway Views. The Westin Fort Lauderdale Is Located In A Landscaped Corporate Park In Northern Fort Lauderdale, Fla. This Newly- Renovated Hotel Stands Three Miles From Pompano Park Harness Track. Golden-sand Beaches Are Located Four Miles Away. The Westin Fort Lauderdale Offers 293 Non-smoking Guestrooms Housed Within A 15-Story Blue-glass Tower. The Embassy Suites Ft. Lauderdale/17th Street Is Located On The 17th Street Causeway In Fort Lauderdale, Fla. Breakfast Services, Complimentary Manager's Receptions, And An Italian Restaurant Outdoor Pool With A Waterfall Spa Tub And Fitness Room Wireless Internet Access For A Fee. Close To The Popular Llas Olas Lauderdale. This luxury hotel fort lauderdale is Positioned On the Shoreline Overlooking The Atlantic Ocean And The Intracoastal Waterway, The Ritz Carlton Fort Lauderdale Resort Stands One Mile From The Bonnet House Museum & Gardens. The Hotel Is Three Miles From Las Olas Boulevard, And Four Miles From Riverwalk Fort Lauderdale Arts & Entertainment. Pets Are Allowed. Please Be Advised That We Charge A Fee Of $100 Non-refundable And An Additional $25 Daily Per Pet Fee To Your Room. Hotels near fort lauderdale airport. One being Comfort Suites Airport West Is Centrally Located 10 Minutes From Ft. Lauderdale/Hollywood Airport. Close To An Extremely Large Outlet Mall, And Sawgrass Mills The Hotel Is 20 Minutes From The Famed Sandy Beaches And Five Minutes From Florida Turnpike, I-95, I-75, And Many Major Roads. Whether On Business Or Pleasure, Stay In The Conveniently Located Town Of Davie. The New Comfort Suites Of Davie Opened In June 2001 With 77 Rooms On Five Floors. Suites Available Which Offer Spacious Luxury And Comfort At An Affordable Price. More Upscale, Executive Suites, Also Available, Where Luxury Takes On Another Meaning. The Westin Beach Resort Stands Across The Street From The Golden Beaches Of Fort Lauderdale, Fla. A Water Bus Stop, Which Transports Guests To 20 Locations Throughout The City, Is Located Two Blocks Away. This Property Is Positioned Four Blocks From Several Oceanfront Cafes, And Two Miles From Downtown Fort Lauderdale. This Hotel Offers 457 Guestrooms Distributed Between Two 14- And 15-Story Towers. Views Span The Beach, Or The Intracoastal Waterway And The City. The Holiday Inn Express Hotel And Suites Ft. Lauderdale Airport/Cruise Is Located In Ft. Lauderdale. Two Miles From Ft. Lauderdale Convention Center Two Miles From The Cruise Port Three Miles From Riverwalk Arts And Entertainment. Complimentary Buffet-style Breakfasts, Seasonal Outdoor Pool, Business Center. The Hyatt Regency Pier Sixty Six Is A Resort And 127-Slip Marina That Occupies 22 Waterfront Acres In Fort Lauderdale, Fla. This Property Stands Three Blocks From The Beach And One Mile From The Beach Place Shops, Restaurants And Nightlife. This Resort Offers 25,000 Square Feet Of Function Space. A Self-service Business Center Is Open 24 Hours A Day, And Wireless Internet Access Is Available In Public Areas Of The Hotel. A Health Spa And Complimentary Fitness Center House Saunas, Steam Rooms, A Lounge And A Spa Tub That Overlooks A Garden. Lago Mar Resort Hotel And Club Rises Above 500 Feet Of Beachfront Acreage In Fort Lauderdale, Fla. This Property Is Tucked Between The Atlantic Ocean And Lake Mayan In The Exclusive Harbor Beach Neighborhood. The Resort Houses The 12,000-Square-foot Executive Fort Lauderdale Conference Center And Four Function Rooms That Accommodate Small Or Large Groups. A Complimentary Business Center Contains Four Computer Stations. Marriott's Beachplace Towers Occupies A Prime Location Atop Beachplace Mall Across The Street From The Beach In Fort Lauderdale, Fla. This Smoke-free Property Offers 206 Guestrooms And Villas With Furnished Balconies Providing Views Of The Atlantic Ocean Or The Intracoastal Waterway. Villas Accommodate Up To Eight People. This Hotel is Close To Many Fort Lauderdale Attractions. 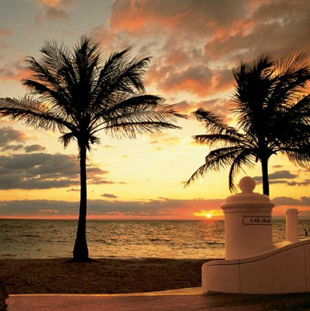 The Marriott Harbor Beach Resort & Spa Is Secluded Along A Quarter-mile-long Private Beach In Fort Lauderdale, Fla. The Shops And Restaurants Of Beach Place Are Located Less Than One Mile Away. Fort Lauderdale-hollywood International Airport Is Positioned Four Miles Away. his Property's Dining Options Include The Ocean-view 3030 Ocean Restaurant, A Chic Bistro That Overlooks The Ocean. Riva Prepares Italian Fare, While Cascades Poolside Bar And Café Serves Sandwiches, Salads And Tropical Drinks. A Starbucks Outlet Offers Coffee Specialties. The Resort Houses 28 Function Rooms, The Largest Of Which Seats 1,800 People. Located Off The 17th Street Causeway, The Renaissance hotel Fort Lauderdale FL. Is Situated Across From The Convention Center, And A Half-mile From Port Everglades. Just Over The Bridge Lie Fort Lauderdale's Famous Beaches And Beachfront Shopping, Dining, And Entertainment. Serving Cruise-ship Passengers, Vacationers, And Businesspeople, This Relatively New Hotel On The Intra-coastal Waterway Features A Caribbean-colonial Décor. Hotel Amenities Include A Large Heated Pool And Spa Tub, A Fitness Center, A Business Center, Meeting Rooms, Room Service, 24-Hour Front Desk, And An On Site Restaurant - Bistro 17. The Days Inn Bahia Cabana Beach Resort Is Located In Fort Lauderdale, Fla. Two Blocks From Jungle Queen River Boat Cruises. One Mile From Las Olas Boulevard Four Miles From Fort Lauderdale-hollywood International Airport. Complimentary Wireless Internet Access Refrigerators, Microwave Ovens In Select Rooms.